With all the great power saws available today, the lowly handsaw has kind of faded into the background. But there are still jobs that can’t be done without them, so it’s important to have the right ones in your tool box. For fine work, angles and curves, nothing beats the super narrow blade of a good old-fashioned coping saw. 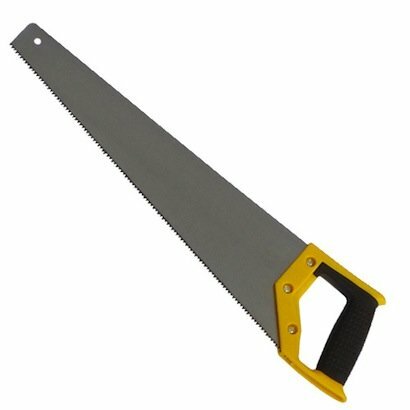 We all know the common crosscut saw, used for making straight cuts across the grain. Many pros have now turned to less bulky japanese backsaws or ‘toolbox’ saws that cut on the pull stroke and handle more like a cake knife than a traditional crosscut saw. These blades are thinner and more flexible, great for fine work like dovetailing. On some you can reverse the blade to get into tight spots. The fine teeth are super sharp and easy to damage if you hit a nail, and you can’t sharpen them yourself, but some have replaceable blades and interchangeable handles to suit your needs.